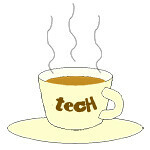 Seminars « Tech bytes for tea? 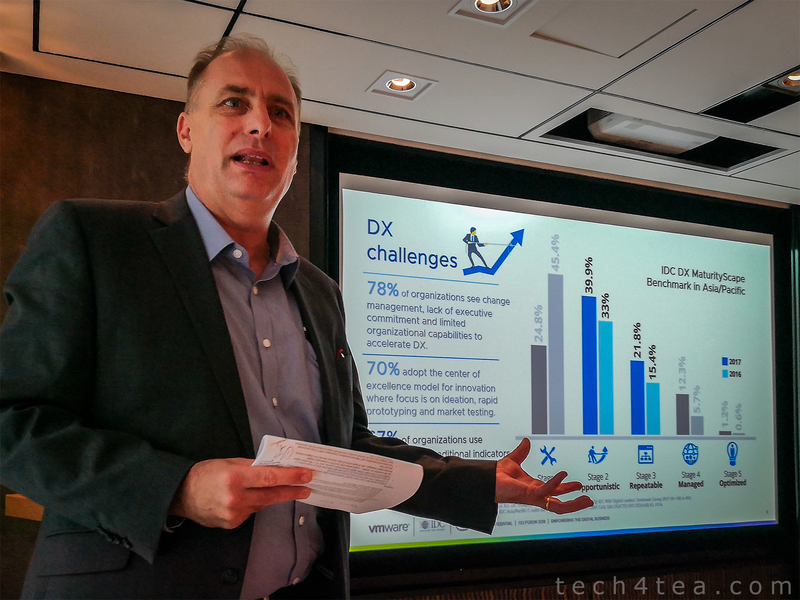 VMware Hosts CIO Forum in Singapore, urging CIOs to overcome digital impasse to pursue greater digital transformation (DX). “The Asia-Pacific region differs in technological maturity, but one thing is common – the recognition of digital transformation as a business catalyst. 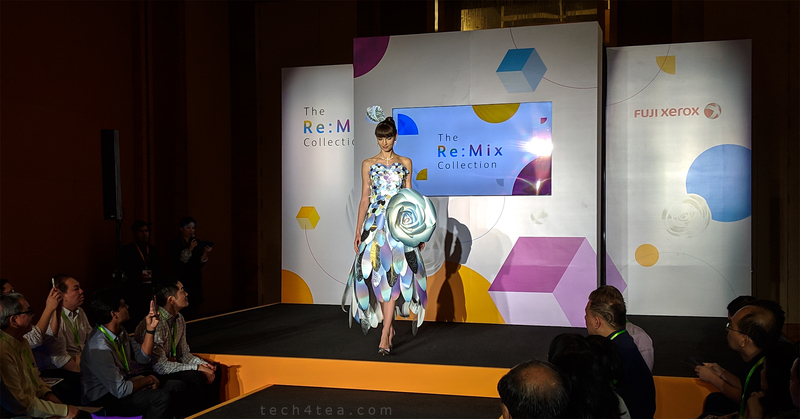 In order to enable digital transformation progress in the region, it is essential for organizations to integrate their existing products and services – without silos,” said Duncan Hewett, Senior Vice President and General Manager, Asia Pacific and Japan, VMware. VMware is hosting more than 120 C-level executives at the annual VMware CIO Forum for Southeast Asia and Korea, showcasing a comprehensive suite of solutions designed to accelerate performance and drive results from digital investment into the next stage of growth. “IT environments in APJ are now a mixture of legacy infrastructure and public and private clouds, and that’s what we hear from some of our largest customers. VMware is committed to working with our customers to outline the strategic measures they need to address, enabling them for success and creating new possibilities for their businesses,” said Hewett. With enterprises and governments in Southeast Asia prioritising digital transformation as a cornerstone in business growth and smart nation blueprints, DX is a key focus area at the event. In partnership with the International Data Corporation (IDC), C-level executives will focus on the next progression of the DX journey to better understand the scope and impact of DX and facilitate an in-depth analysis of DX investment relative to strategic enterprise priorities. Based on findings from their latest (conducted in 2017) Digital Transformation study in the region, titled “IDC MaturityScape Benchmark: Digital Transformation in APEJ, 2018”, organisations in Asia-Pacific (excluding Japan) (APEJ) have progressed from resisting digital transformation to exploring digital transformation initiatives. 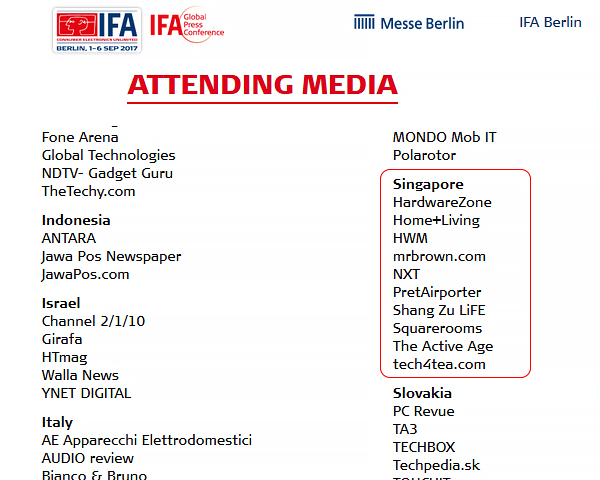 The first day of the IFA GPC 2017 comprises a series of power briefs by industry leaders and analysts on the latest trends and products in consumer electronics and home appliances. Here is a rundown on what transpired in those proceedings. Finally getting down to business. 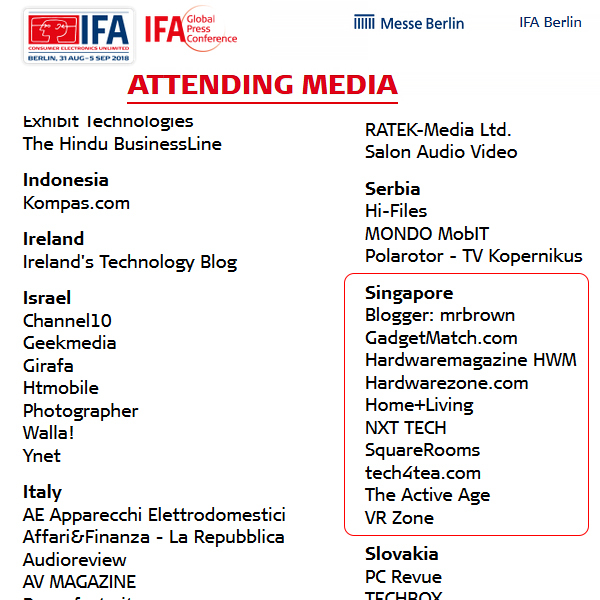 Looking forward to hearing what industry experts have to share about the trends and predictions in consumer electronics and home appliances. There are altogether eight power briefings and one discussion panel. As I attend these sessions, I will post a brief synopsis of each session on Instagram and consolidate all the synopses here. So stay tuned! IFA GPC 2017 commences from 20-23 April so we spent most of today in the air, flying 8 hours from Singapore to Dubai in UAE; and another 8 hours onwards to Lisbon, Portugal; with a 6-hour transit in the Dubai International Airport. * This article was first published on The Travel Memoir. So the entire journey took around 24 hours, if you include the 2 hours earlier you got to turn up at the airport to check in. I flew Emirates Airlines and the check-in and transit was smooth. The first leg from Singapore to Dubai was in an Airbus A380-800 and the seats in coach were relatively spacious and comfortable. DataSpark is a Big Data company that is part of Singtel, Asia’s leading communications group. The company participated in Strata + Hadoop World 2016 in Singapore with two speakers and an exhibition booth. Strata + Hadoop World is one of the world’s leading conferences on big data, featuring some of the most progressive leaders in the industry. Strata + Hadoop World first came to Singapore in 2015 with DataSpark participating as an exhibitor. Strata + Hadoop World delves into areas that include Big Data in telecommunications and finance; smart cities and urban automation; IoT and intelligent real-time applications; data science and advanced analytics; chat, machine learning, and AI; security, governance and ethics; as well as the issues involved in becoming a data-centric company. Other topics include design, visualisation, and VR, Hadoop use cases, Hadoop internals and development, production-ready Hadoop, Spark and beyond. 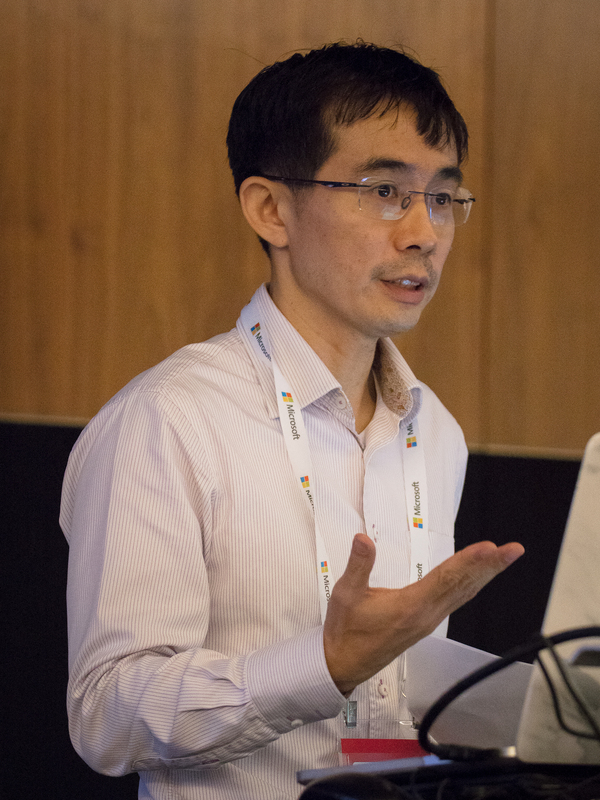 The sold-out conference also featured two speakers from DataSpark covering how the telco landscape could be invigorated by using data assets to create new applications, as well as the use of telco data to monitor traffic in Singapore. With the resounding response during the inaugural conference in Singapore, DataSpark participated again in this year’s Strata + Hadoop World 2016, as an exhibitor with a booth in the Sponsor Pavilion. As a thought leader in its mobility intelligence, two speakers from DataSpark were also showcased in the conference. Ying Shao Wei, Chief Operating Officer, spoke on “mobility as a vital sign of people and the economy”. The audience learnt how telco-enabled insights could provide deep, refreshing and actionable perspectives on the health of urban infrastructure such as road and train systems; the economy, in terms of trade activities and major tourism events; as well as the general well-being of the populace. Ying Shao Wei, Chief Operating Officer, DataSpark, spoke on how real-time insights from DataSpark’s software help the organisers and public authorities better understand how crowds build up and disperse and detect anomalies in the flow of people, enabling a better marshalling of ground resources to ensure public safety. These telco-enabled insights were gleaned from the software platforms and data science engines that DataSpark has built to make sense of the interconnected world of digital devices and more than two hundred million users across Singapore, Australia, Indonesia, and Thailand. The company has successfully applied data science methodologies and techniques, such as data mining and machine learning, to make discoveries about the interactions between users and their increasing number of devices, from mobile phones and tablets to TV set-top boxes and broadband devices. With their expertise and developments in Big Data and analytics, DataSpark is well-positioned to ride the wave of Big Data adoption that the industry and governments are looking to embrace.